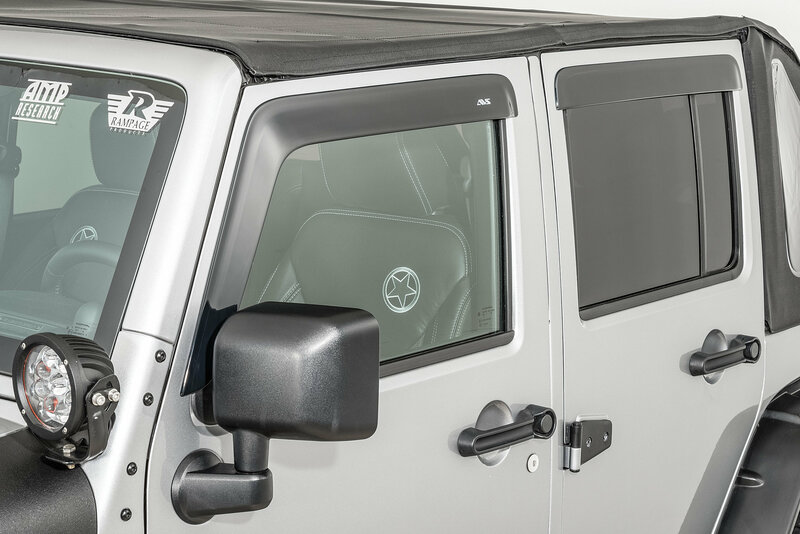 This AVS Ventvisor and Aeroskin Bundle Kit has a Rich Matte Black Finish that mimics stock fender flares as well as O.E. trim to give you that "from the factory" look you're after. 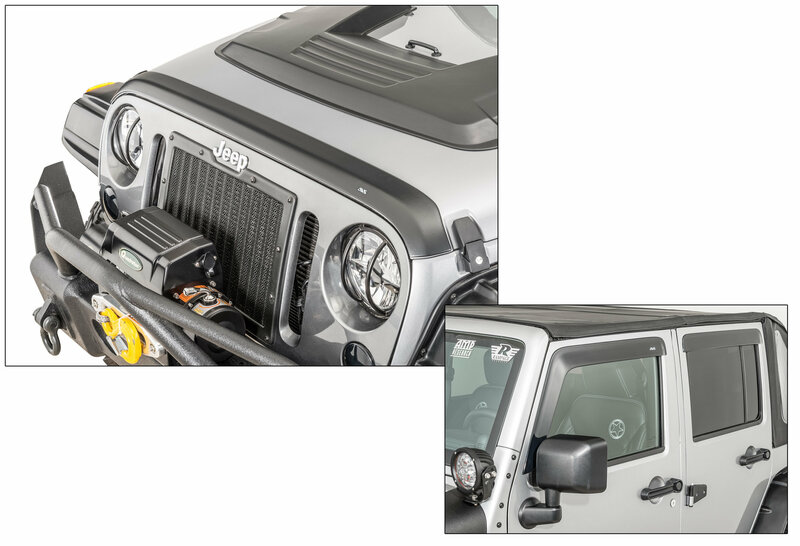 Cabin comfort and hood protection all in one package for an easy way to create a great O.E. 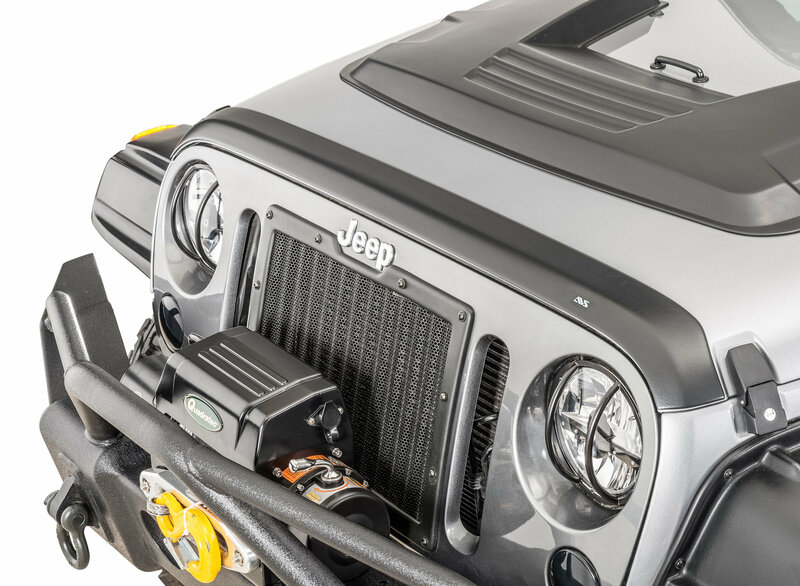 look for your JK. Poor design. Tape is hard to keep down. Not strong enough. Came up started flapping and scratched the hood.